Opportunities exist for you to experience the joy of changing a child’s life. Non-profit Reading Partners works with Charleston Promise Neighborhood at Mary Ford and Sanders Clyde Elementary Schools to improve students’ reading outcomes. 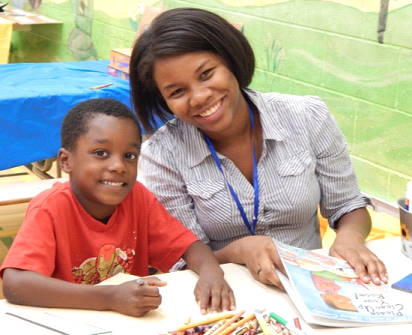 They recruit and train volunteer mentors to facilitate the literacy skills critical to unlocking lifetime learning. Research shows that mentors who meet for as little as one hour weekly with at-risk students can make a measurable improvement not only in their literacy, but in their overall academic performance. Reading Partners has recruited and trained 640 mentors for the 2108-19 school year, enough to tutor 600 students in 16 Title 1 schools in Charleston and Berkeley counties. But they need more. They need you. Two hundred children remain on the waiting list, in need of mentors. Enjoy the immense satisfaction that comes from establishing a relationship with a child and watching them grow intellectually with your help. For more information or to sign up, please go to www.readingpartners.org or call 843-860-3915.